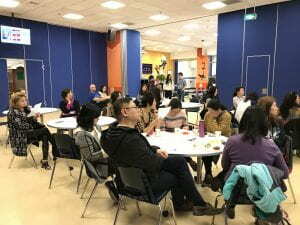 Hour of Code is an annual event for schools organised by Code.org, a group that seeks to promote coding around the world, particularly supporting women and minorities. 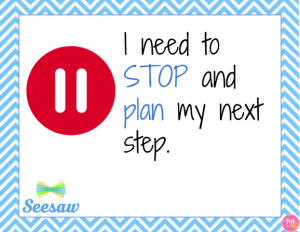 Typically, Hour of Code takes place in the first week of December, but the 200+ activities are available to explore anytime. 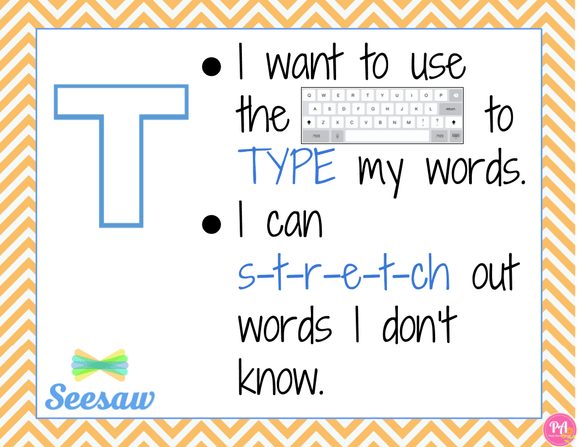 It could be a good opportunity for you to increase the amount of coding you include in your teaching, or just to have options for fun end-of-year activities. Happy coding and let us know if you would like any help or suggestions! 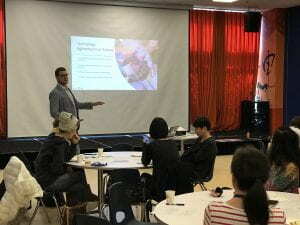 On Tuesday, March 20, ES parents were invited to the workshop “Parents as Media Mentors: Tech and the 21st Century Family”, hosted by Clint Hamada, Rebecca Taylor and Sam Griffin (ES Ed Tech) and ES Counsellor, Kevin Kooienga. The session began with a clip from an American experiment where children were allowed unconstrained access to technology over a period of a few days. From this, it wasn’t hard to see the importance of setting boundaries as the children clearly became tired and agitated. Interestingly, the children themselves acknowledged that unlimited technology was unhealthy. 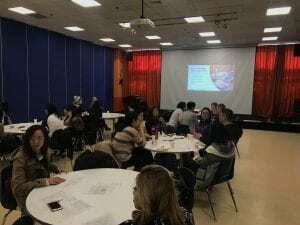 Working in table groups, parents in the workshop discussed the different ways technology is being used at home. For example, are we mainly using technology to consume media (such as watching YouTube clips or playing games for entertainment)? 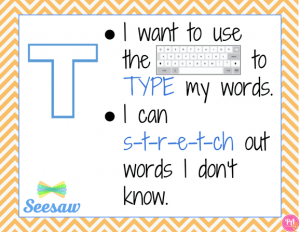 To what extent do our children use technology to create (for example, making games using Scratch or Minecraft)? Or are we using technology to connect with others (social media, Skype etc). In many cases, our children are often doing several of these things in combination (such as watching a YouTube clip of a Minecraft tutorial while simultaneously creating their own Minecraft world). All of this highlights the need for monitoring, discussion and awareness of the quality and quantity of technology use at home. In the ISB Elementary School, our Responsible Use Agreement has been designed to reference the school rules of Be Safe, Be Respectful and Be Responsible in the context of classroom technology. Students, teachers and specialists work with Ed Tech to ensure positive use of technology, supported with a range of proactive (and, where necessary, reactive) measures. Please look out for future parent workshops in this series over the coming months. We are keenly interested in hearing your views on the types of workshops and resources you would like to see in the future – or anything else we can help with – so please be in touch any time. 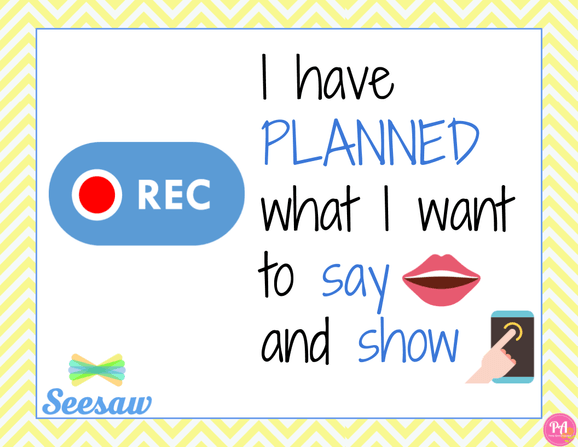 Here are some recommendations for how to get the most from Seesaw in the upcoming Student Led Conferences. 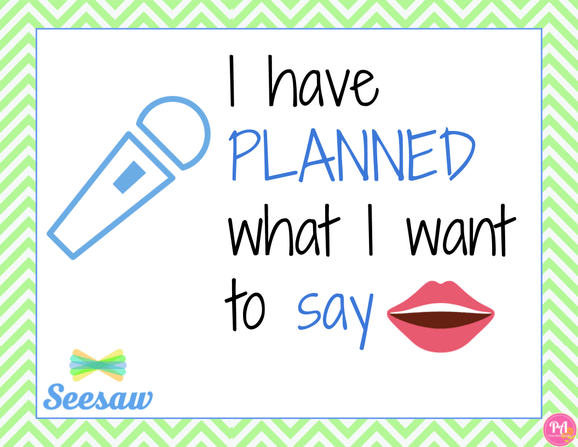 We would love to help you in any way we can – invite us to a team meeting, make a time for a one-to-one chat, or invite us to your class to guide student activities. 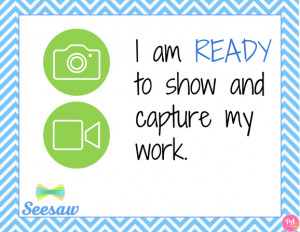 How can Seesaw enhance SLCs? 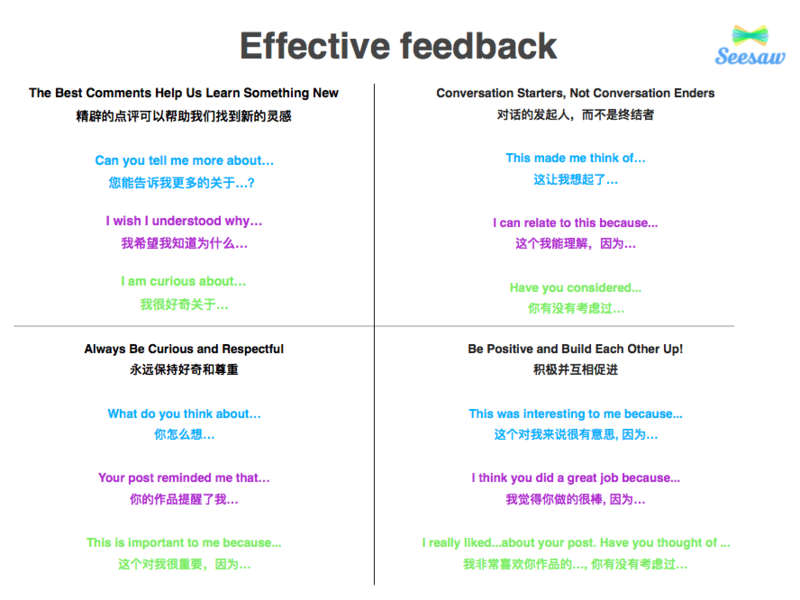 Once students have added their best posts to the “SLC 2018” folder, they should review each post to make sure that the point they wish to articulate in the conference is clearly communicated (this could work well as a peer feedback/critique activity). 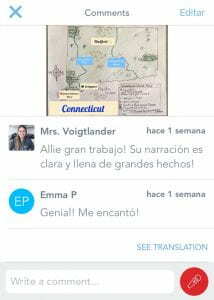 Students can then create a new comment with appropriate reflection and clarification if necessary to guide their conference. When you have completed your message, click the large green tick button and it will appear in student & parent feeds. Please note, as new parents will not yet be connected, this welcome post will be made in the student announcements for all users to see. In the future (when all parents are connected) teachers will be asked to use “Family Announcements” to ensure student journals don’t contain parent communications. 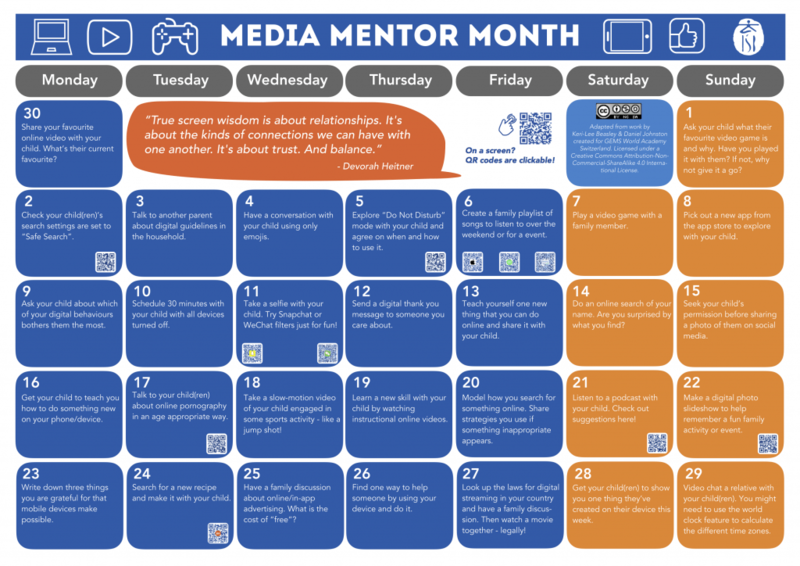 On Monday, Tina, Angela and I will distribute printed QR codes and instructions to all homeroom teachers, for families to connect to their child’s Seesaw journal. 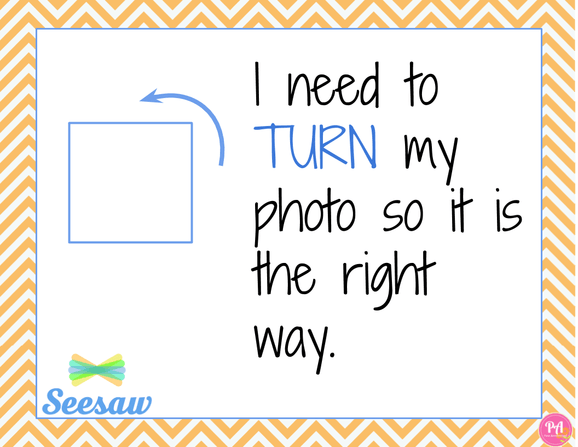 Families will need to follow the instructions to download the Seesaw Family app and scan the code in order to see any Family Announcements or student posts. Throughout Monday, we will prioritize our time to support any teachers who require help with Seesaw. We’ll be available for 1:1 help all day including after school. Please be in touch or stop by the ES Library office if you need any help. 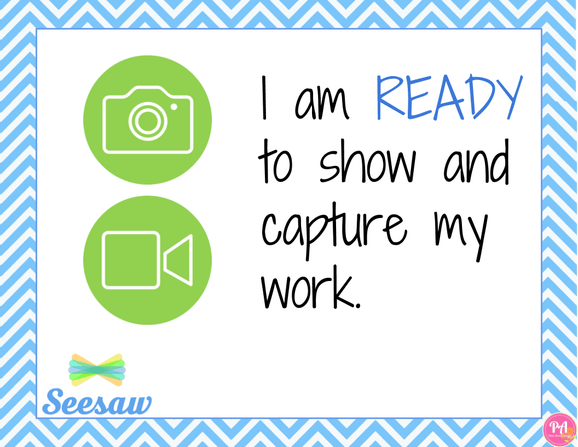 Seesaw is a student-driven portfolio platform that is used across the ES to empower students to document, share and reflect upon their learning journey throughout the academic year and across their years in the elementary school. 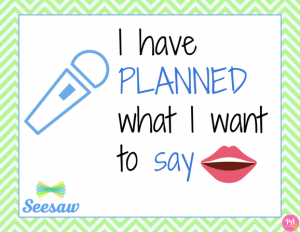 As part of our Seesaw Common Agreements, there are certain tasks and setup procedures that each teacher should do once their class has been created. 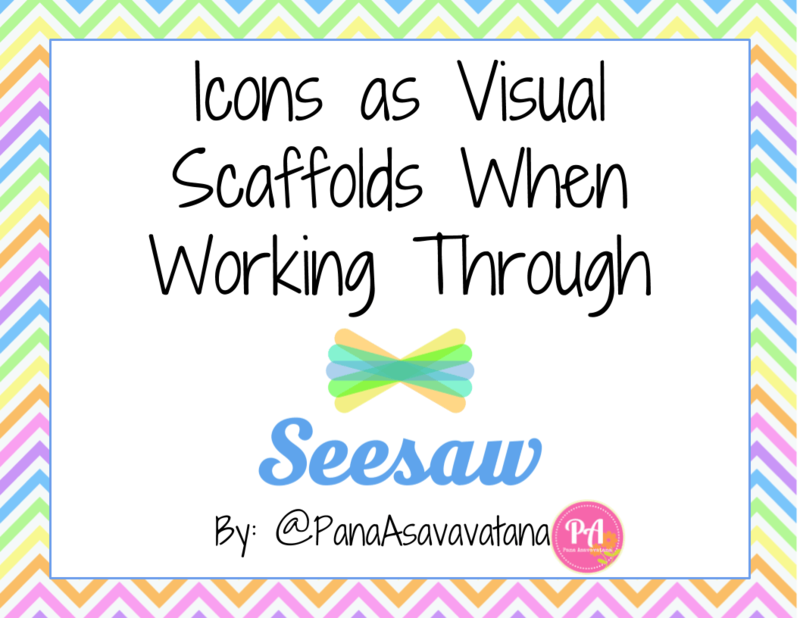 There are also some introductory lessons/ideas that can help you get started using Seesaw in your class. 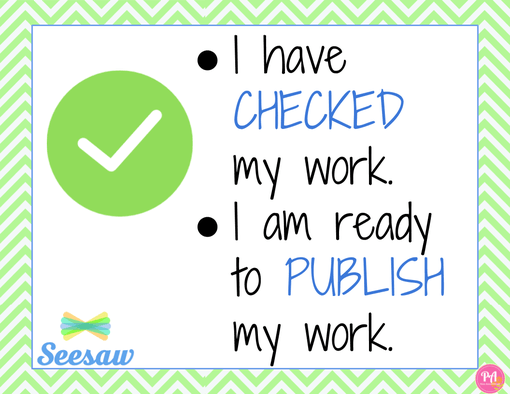 You can use this checklist to guide you. 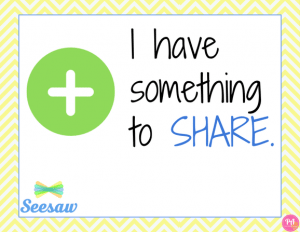 Post a “Welcome!” message to all students/parents. You can also get a digital version of this document/table. 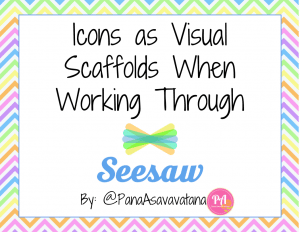 Seesaw is like many applications in that it uses icons to create a visual fluency to help learners navigate the different features and tools available to its users. 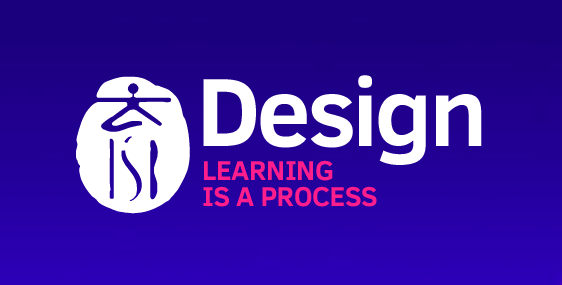 Many of these icons are consistent with so many other iOS apps and it makes sense for us to scaffold our learners in how these tools can be explicitly applied in the process of learning. 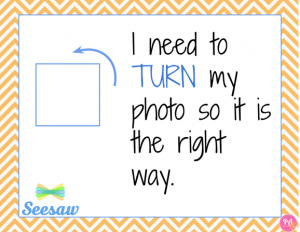 Recently, Pana Asavavatana shared a series of useful posters designed to assist Pre K – 3 students in their deliberate use of processes and features in Seesaw. 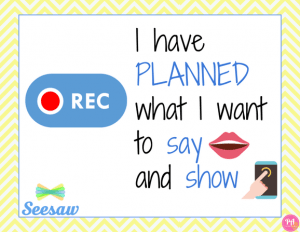 She wanted her students to move beyond simply checking off everything they post and think more deeply about what they were doing in Seesaw and why. 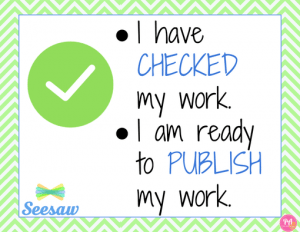 Each poster links one of the Seesaw tool icons with a student statement that encourages students to make a conscious decision about what they are doing and why. 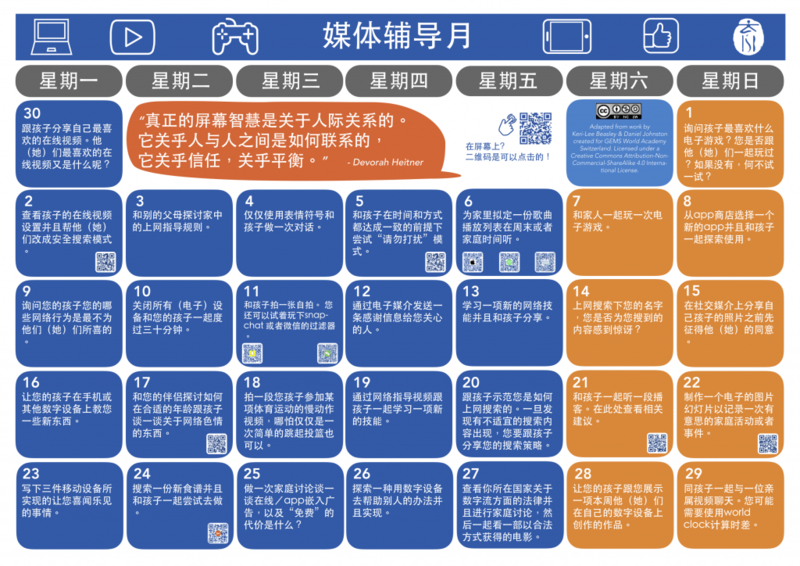 The posters are available in English and Mandarin and are free for you to download and use (thanks to @PanaAsavavatana). 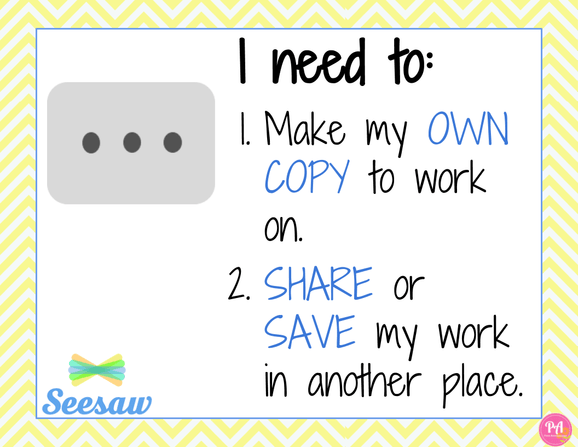 As always, let myself or Bec know anytime you would like any Seesaw resources or support for you and your students. It’s important to organise the information we share through our blogs to allow users to effectively access previous posts. 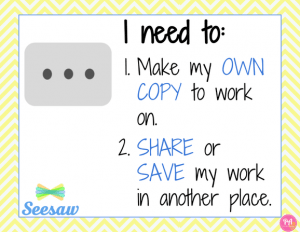 Two ways to do this are through categories and tags – but what are they? How are categories and tags different and why should we use them? In the following video, Bec shares the different ways categories and tags make it easier to organise your blog’s content.